I'm so excited that Gabby over @ The Late Young Family nominated me for a stylish blogger award! Go check her out.. she's pretty cool! 3. Nominate 15 other blogs and pass on the love! I'm running out of fun facts about myself, so I'm going to tell you my engagement story. It's the bees knees! A little long, but worth the read! Let me introduce you to the key characters. My hubby, myself, and (keep up with me here) my hubby's sister's brother-in-law. Phew. We'll just call him Mr. SPD (Smyrna Police Department). It all happened on Christmas Eve 2006. Hubby had been at Fort Drum for months and I had just graduated from college. After break I would be making the move to Upstate with him. We went to lunch that afternoon and he was acting weird all day. He barely ate anything... said his stomach was a little upset. Not to mention he made about a thousand phone calls during lunch. He said we needed to stop by his sister's house to "get something." What?! I need to go home and get ready NOW! We have Christmas Eve celebrations to go to! He assured me it wouldn't take long. As we were driving through his sister's neighborhood I approached a stop sign. I noticed a cop car sitting at the dead end and thought it was strange. Of course I stopped for like 20 seconds before I continued on. You can imagine my horror when the cop car pulled out behind me and trailed me as far as two houses before his sister's house. On came the police lights! WHAT! I was going like FOUR miles an hour. I stopped at the stop sign. WHAT IS THE DEAL! Two cops got out. One came to my side and one went to hubby's side. I thought the cop on hubby's side looked like Mr. SPD but he kept his sunglasses on hid behind the door frame. "Good afternoon. Do you know why we pulled you over?" "Well, we've been having some drug trafficking in the area and your car matches the description." "M'am, please step out of the vehicle"
At this point I threw up in my mouth a little. What? Me? Drugs? Are you kidding me? Go figure I had TWO cases of beer (for Christmas presents) and I had just picked up the new plates for my Dad's car. Hmmm.. two cases of beer and license plates that weren't my own. This looks suspicious. As we are walking to the back of the car the hubby comes over to me and whispers "I'm holding something for a friend." My heart sank. WHAT?! My life is over. You're an idiot. I hate you and your friend. What the heck were you thinking?! The cop by now was searching the vehicle and had already questioned me about the cases of beer and the license plate. Ok. Off the hook for those. Time to do the body search. Hubby was placed up against the back of the car with his legs spread as the search began. My heart was pounding faster and faster and I just knew my life was over. Keep in mind one of his sister's neighbors had walked down to the end of the driveway and was watching the whole thing. As the cop patted down hubby's cargo khakis he kept asking "Is there anything I need to be aware of? Is there anything that is going to stab me?" To which the hubby replied "No." Then he got to the cargo pocket on the side of hubby's leg. "You don't know?" So the cop pulled out a crinkled, very suspicious looking brown paper sack. I don't know how I didn't pass out. "I'll ask you again. Sir, what is in the bag?" Hubby kept saying I don't know. So the cop asked "Sir, who does this belong to?" Hubby's response? He pointed to me!! Inside I'm thinking "You're dead. I will kill you. How dare you!" By now the cop is getting annoyed. Neither of us are claiming the bag. So he opens it, looks at me and says "Mam, I think this is yours." Total confusion. What on earth would be in that bag to make him think it is mine? Tampons? Pads? I don't understand. So he hands the bag to me and I peek inside, very close to passing out. And I see a ring box. It all clicks. You sneaky SOB! I pull the ring box out, hubby gets down on his knee and proposes. EPIC proposal!! He knows I'm not a very romantic/mushy kinda gal, so this was great! And cop number 2 was Mr. SPD. They had been co-conspiring for weeks! Obviously I said yes, and years later we have a pretty cool proposal story! So now onto some fantastic blogs!! Oh MY GOODNESS! That is the BEST engagement story EVER!!!!! I loved it, so glad I came over to accept the award, that is fantastic! What a great proposal story - Sounds like you and the hubs have an amazing sence of humour. That is a great story, I would have been dying! 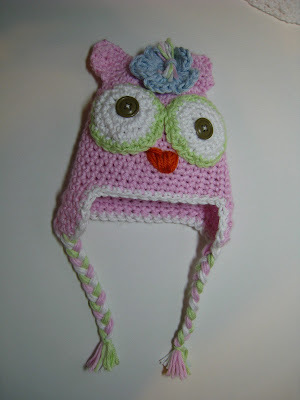 Thanks for your order and nice comments! Im crying. I dont know if its from laughing so hard or because its so romantic but just the same..I love that story!! Forever and ever a teller around the dinner table at anniversaries! Wow, that was quite a proposal!!! 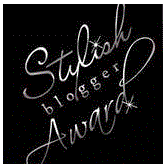 I would have been scare to death!And I'm thrilled to be nominated as a Stylish Blogger! Thanks so much, you are very sweet! Looking forward to checking out your blog and getting to know you! Best story ever! So cute. Glad you didn't kill him or pass out! Just so ya know, I'm back in business!!! And thank you so much for the nomination! Oh and I love the story, I've never heard it before. That was soo funny!